Searching 490 Properties - Please Wait! Easily book your Maui Condo Rentals with Mauiman.net. The beaches, waterfalls, palm trees, and a cold Mai Tai make the island of Maui a perfect place to relax with your family or just you and your partner. Let us provide you with custom accommodations to help make this the trip of your dreams! Mauiman.net has the perfect Maui vacation rentals for the most reasonable prices. Our prices are cheaper than at the booking offices right on-site. Our Maui condos have great amenities such as nearby restaurants, shopping, beaches, parks, and activities. We can book your Maui activities so that all you have to do when reserving your Maui Condo Rentals is mention what you would like to do and we will recommend the best activity. All of our vacation rentals in Maui are kept clean and in great shape so that you will feel at home and at ease. 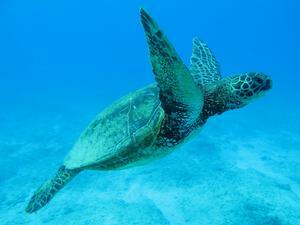 Our VRBO Maui vacation rentals are located in the best locations around the island of Maui. 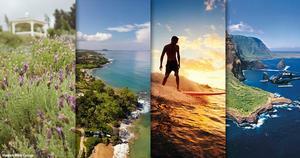 The best communities on Maui for vacation are Kaanapali, Kahana, Kihei, Maalaea Bay, Makena, Napili Bay, and Wailea. You can find our Maui vacation rentals in all of those wonderful locations, depending on availability. Choose from beachfront to jungle or in between for the best condos for your preferences. Mauiman has been helping deserving people rent condos in Maui for many years now and has established a great reputation for offering the best prices. After serving thousands of happy customers we have learned what is expected and deliver it EVERY time. Book with us today for your ideal Maui vacation rental! The Maui Man Maui Condo Rentals Latest Blogs!